Page title: Is the World Ready for Canada to Be a Marijuana Superpower? Is the World Ready for Canada to Be a Marijuana Superpower? Brett Popplewell is an author and assistant professor of journalism at Carleton University. A former reporter for the Toronto Star, his writing has appeared in Bloomberg Businessweek, the Globe and Mail and The Best American Sports Writing. It wasn’t yet noon, and already the stocks that Linton keeps in his company, Canopy Growth Corporation, had jumped by $4.47 million since breakfast. But the fifty-one-year-old had no real time to celebrate. He sat down and got back to work with the number crunchers reviewing his company’s latest profit and loss statements. His current shares in Canopy, the company he co-founded five years ago, are now valued at roughly $135 million. Canopy brought in $22.8 million in its most recent quarter but reported a net loss of $61.5 million as a result of massive expansion efforts in preparation for October 17, the date when every adult Canadian will have the right to buy Linton’s prepackaged weed from storefronts coast to coast. It has been five years since the federal government began doling out exclusive licences to a select group of companies, granting them the right to mass produce legal marijuana for medicinal consumption, and three years since Justin Trudeau was elected on a platform that included legalizing marijuana on a national scale. And, though Trudeau has broken many of the promises that got him into office, the Cannabis Act may well be something historians will look to when assessing this government’s legacy. Canada’s legal cannabis sector is surging. Billions of dollars have already been poured into the industry by speculative investors from around the world hoping to make a fortune on our emergence as the first marijuana superpower. 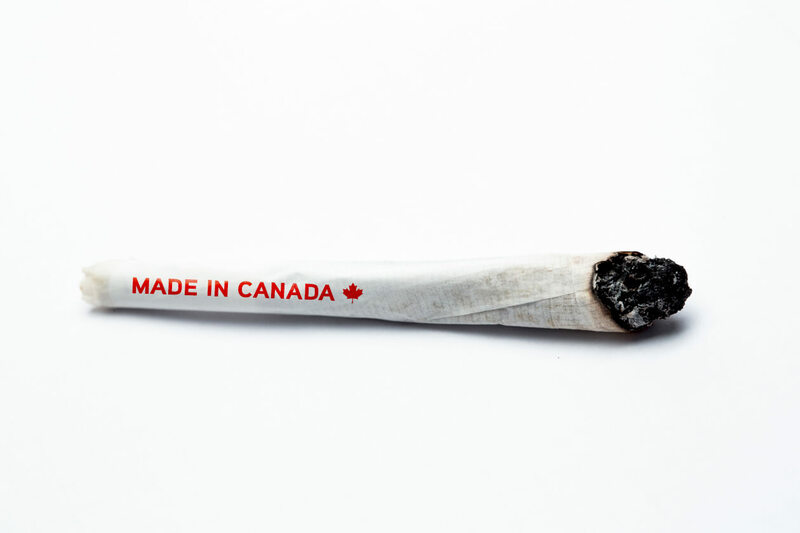 No one knows how disruptive a force the Cannabis Act will ultimately be, here and abroad, but if the corporate entrepreneurs have their way, Canadian bud will soon rival a range of products from Tylenol to Johnnie Walker. The Cannabis Act—or Bill C-45—is one of the most complex and controversial pieces of legislation to emerge under Trudeau’s premiership. Not just because it repeals a ninety-five-year-old prohibition on the growth, sale, and consumption of an ancient weed that was initially criminalized in the midst of an early 1920s moral panic that linked the drug to Asian, Indian, and Mexican immigrants but because it demands that we rethink what cannabis actually is or can be. While most Canadians still think of pot as a combustible or edible product, corporate entrepreneurs hope to soon turn it into everything from an aphrodisiac spray to a bottled psychotropic beverage for health-conscious consumers looking for a drink that’s low in carbs and easy on the liver. Though such products won’t be readily available to Canadians on October 17, they remain in development and could find their way to market as early as 2019. Two years ago, I spent a month shadowing Linton and his team of tech nerds and policy geeks working out of an abandoned Hershey factory they’d rebranded as “the biggest grow op willing to publish its address.” At the time, Canopy already had a market cap of just over $250 million, and their stock was trading on the TSX Venture Exchange for roughly $2.60 a share. They’d been growing marijuana since 2014, and though they were just a fraction of their current size, they were already the world’s largest legal producer. I sat in on their negotiations with industrialists in Germany, horticulturalists in Australia, and sexual-aid manufacturers in Colorado. They had just inked a marketing deal with Snoop Dogg, which had resulted in their logo appearing on a billboard in Times Square, and they were trying to position their product as the Tylenol of medicinal marijuana in Canadian pharmacies. All this, while still throwing together the infrastructure: hiring workers to help trim their buds, drying bushels of the stuff on stainless-steel sheets, and storing everything in buckets while working their branding. Still, Linton was convinced that Canopy could emerge like the Seagram Company of Montreal, which had become the world’s largest distiller when, back in the 1920s, the majority of Canadian provinces repealed prohibition years ahead of the US. He had a vision for a future in which Canada would supplant Israel as the global leader in the scientific research of cannabinoids while replacing the Netherlands as the cultural homeland of marijuana innovation and export. That vision is quickly becoming our reality. Canopy became the first billion-dollar cannabis company just over a year and a half ago. Their shares now trade at roughly $39, and they have a market cap of $7.9 billion. The company is currently worth almost double what the Walt Disney Company paid to purchase Lucasfilm. It’s a relevant comparison to Linton, who actually believes his products could have more cultural impact and resonate with more people than any Star Wars movie. A mind-altering thought from a man with vaults across the country crammed with mind-altering goods all packaged and loaded onto pallets ready to ship out nationwide. The growing strength of Canopy and other purveyors has been bolstered by the Trump administration’s refusal to revoke marijuana’s long-standing “Schedule I narcotic” classification, which it shares with MDMA, LSD, and heroin. This while Canada’s government tries to treat cannabis like liquor, to be taxed and sold in state-regulated stores. How that will play out is unclear, given the still-sizeable strength of the black market in Canada, which, according to rough estimates by Statistics Canada, sold over $5 billion in illegal weed last year. The government’s strategy encourages licensed producers to grow into corporate behemoths capable of snuffing out the black market by the economies of scale. This is a big reason why several of those licensed producers have become darlings of the Toronto Stock Exchange. Not everyone’s happy, of course. There are still conservative minds out there who would have rather maintained the prohibition indefinitely. And there are those long-standing activists, like Jodie Emery, who now decry that corporate entities have outmaneuvered pre-existing dispensaries by virtue of having influenced the laws to the benefit of licensed producers. For years, Canadians have been buying pot, largely sold in zip-lock baggies, from local dealers and, more recently, dispensary owners whose product is thought to come from an eclectic mix of entrepreneurial horticulturists and organized-crime syndicates. The true origin of the estimated 700 tonnes of illegal pot Canadians smoked last year will never really be known. Nor is it known how quickly those old supply channels will shut down when the government’s first bricks-and-mortar shops open. But continued crackdowns on local dispensaries operating in the grey market might be necessary to guide buyers into the new storefronts. In some provinces (such as Newfoundland and Labrador, Manitoba, and Alberta), those storefronts will be operated by licensed private retailers. In other provinces (such as Ontario and Quebec), the stores are being set up as subsidiaries to the same Crown corporations that have been running much of the liquor sales in this country since prohibition. Canada’s provincial governments are set to become the world’s largest legal purchasers of marijuana, with Quebec alone having already signed tentative deals with six licensed producers for 62,000 kilograms. Bigger orders are expected in the weeks to come once Ontario’s LCBO and British Columbia’s LDB figure out how much cannabis they will require in order to stock the shelves of shops that will be up and running just in time for the fall harvest. Canopy isn’t the only Canadian company with a grand estimation of its own potential. Rival producers like Aurora and Aphria have similar goals of market dominance. 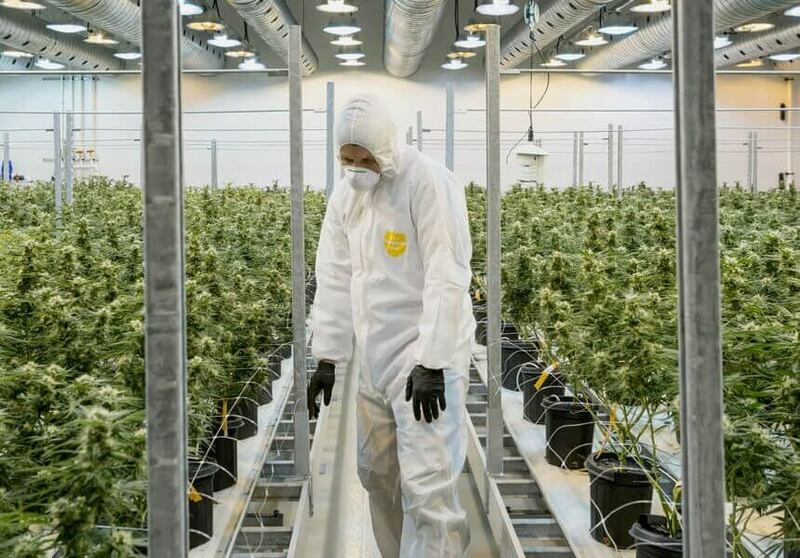 Aurora has built an 800,000-square-foot greenhouse inside the perimeter fence of Edmonton International Airport, and Aphria is expanding its own supersize greenhouse near Windsor. Both have licences to export their weed legally overseas—as does Canopy. For more than a year, an armoured truck has departed the old Hershey factory each month filled with prepackaged cannabis bound for Germany, where canisters of Canadian marijuana find their way onto pharmacy shelves. Such international exports remain “medicinal” in nature, but the licensed producers are now competing to shore up their share of Canada’s new recreational market. It’s unclear how big that market is actually going to be or how effective any of them will be at pushing their products, given the government’s decision to limit the branding on all weed sold in stores. Health Canada insists that cannabis products will have to come with a health warning and is imposing strict packaging and marketing guidelines like the ones for the tobacco industry. All legal cannabis products sold in stores will be packaged in uniform packages devoid of any images other than the licensed producer’s logo. Those guidelines are frustrating the efforts of companies to make future customers familiar with their brands. That’s the reason why cryptic ads saying little more than “Hi,” from Canopy’s most recognizable marijuana brand (Tweed), now compete for eyeballs amid the neon signs at Yonge-Dundas Square in Toronto. Meanwhile, some 350 kilometres away in Smiths Falls, Ontario, hundreds of labourers are at work on a 280,000-square-foot expansion of that old chocolate factory, which has become the capital of Linton’s empire. This construction is happening while horticulturalists in Tyvek suits harvest Canopy’s latest bumper crop—the product of 200,000 clones shipped from Smiths Falls to a converted bell pepper greenhouse on the outskirts of Vancouver. And, on the other side of the country, in St. John’s, designs are being finalized for Canopy’s easternmost storefront and, by proxy of its time zone and geography, the first place Canadians will be able to buy a gram directly from one of Linton’s employees.